Garden to Table volunteer collects fruit tree data with the Trimble Juno SB mobile device. Food security is a growing social and economic challenge that knows no political boundaries. Even in the United States, an astonishing 18 million households were labeled ‘food insecure’ in 2011 because they lacked the means at some point during the year to feed all of their members. The negative impacts of food insecurity can range from poor academic performance and rising healthcare costs to increased crime and social unrest. 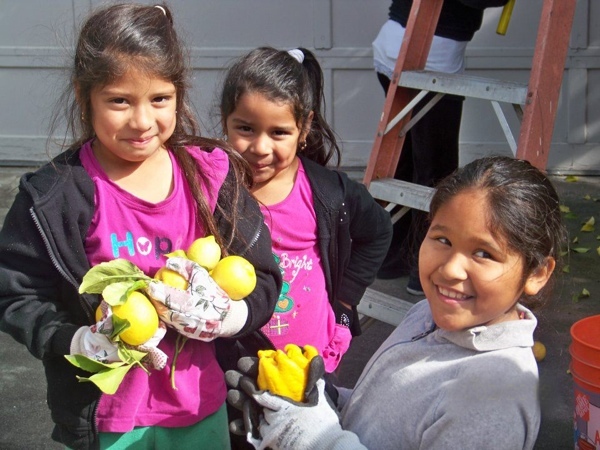 San Jose State University (SJSU) in California has teamed with Trimble Navigation Ltd. to deploy a high-tech solution that enhances the local community’s ability to put fresh food on the tables of families in need. Leveraging a variety of web-based GIS, geospatial, and mobile GPS technologies, the solution makes it easier for local organizations to manage productive forestry and agriculture programs in the urban setting. SJSU and the City of San Jose have jointly formed an organization they call CommUniverCity that brings together students, faculty, city staff and members of the local community to assist nearby neighborhoods in a variety of initiatives. One of these is Garden to Table, which deployed the Trimble Urban Forestry solution to feed the hungry with fruits grown locally in private yards and gardens. 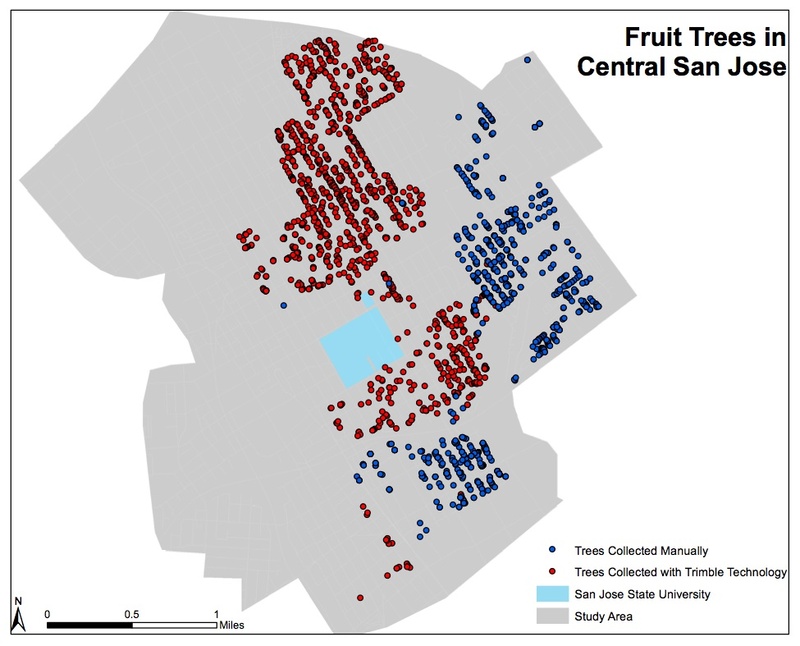 Due to the increased efficiencies achieved by superior data collection and organization, Garden to Table was able to halve the amount of time it took to catalog, organize, and map Central San Jose’s Fruit Trees, leading to more time in the field, and a projected increase of 100 percent more fruit in 2013, or roughly 25,000 pounds. Plans call for all of the fruit being delivered to families within a couple of miles of where it is grown. Community food bank recipients helped out with the harvest. Greater consumption of locally grown healthy foods isn’t the only advantage of improved urban forestry, explained Nixon. She believes the same technology used by SJSU and Garden to Table to feed the needy in San Jose can be utilized by local governments to better manage trees in public spaces along residential streets and in city parks, further contributing to a healthier community. The mild climate and generous rainfall in San Jose are ideal for fruit trees, many of which were planted decades ago on residential properties. Now mature, these trees typically yield more citrus and stone fruits than one household can possibly consume, the remainder often rotting on the branches or on the ground. Concerned by the fact that much of fruit went to waste, an informal group called Neighborhood Fruit Pickers sought permission of property owners to glean the excess for distribution to food banks. Garden to Table offered to support the Pickers in 2011 seeing an opportunity to leverage the university’s GIS resources to make the urban harvesting process more productive, said Zach Lewis, Garden to Table’s project coordinator and a graduate student in SJSU’s Urban Planning Department. 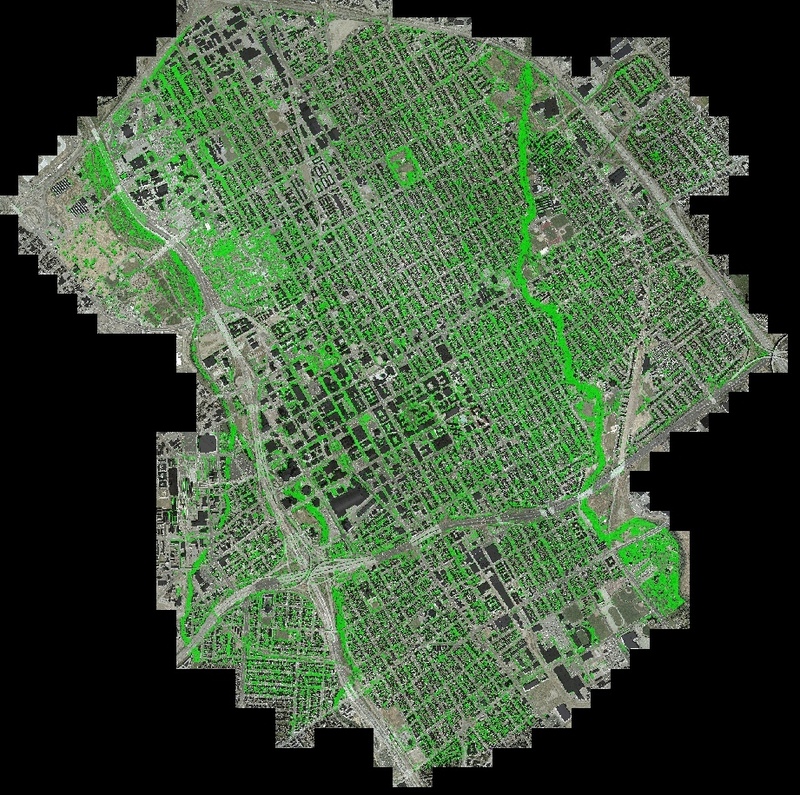 Although the City of San Jose shared up-to-date parcel layers from its GIS for the university to use in its own ArcGIS system, the field data collection proved to be a flaw in overall efficiency. Not only was field work time consuming, mistakes were being made both in inconsistent data collection and in the entry of field notes into the GIS back on campus. These notes included hand-written location coordinates for each tree captured in the field with a simple hand-held GPS unit. Despite these issues, Lewis and fellow volunteers mapped 930 trees on private properties within a mile radius of campus in the first year. Personnel time in the field and at the keyboard totaled more than 300 hours. Although the mapping and subsequent GIS analysis helped improve efficiency of the harvests, Lewis and Nixon saw potential in further automating the process. With close ties to SJSU, Trimble developed a three-part solution with a mobile GIS for data collection, a back-office application for geospatial data analysis, and a tree canopy monitoring segment for long-term planning. Digital map of the Garden to Table project area in San Jose overlaid with the Fruit Tree Canopy layer. To create an integrated solution, participants contacted Cengea, a Trimble company in Vancouver, Canada, which offers a data management and visualization package specifically for forestry. This solution, called Cengea Forest, needed only minor customization to provide both mobile field and back-office analysis functionality for Garden to Table. The solution was up and running in less than two weeks. Training the volunteers to use the mobile data collectors took just a few minutes because the attribute menus were mostly point-and-click. These sessions focused on educating the crews to correctly identify San Jose’s nearly two dozen species of fruit trees, each named in the pull-down menu. Jotting down location coordinates for each tree was eradicated because the mobile GIS application on the Juno automatically recorded those points as feature attributes. Collected data was uploaded by WiFi into the back-office piece of the application. According to Garden to Table’s Lewis, efficiency and accuracy saw immediate improvements in the tree mapping portion of the project. Compared to pen-and-paper, the crews gathered tree data much faster in the field, and errors in transcription were eliminated by digital upload to the database. “With the mobile solution, we mapped 1,400 trees and did that in roughly 160 hours,” said Lewis, noting this represented almost 50 percent more trees mapped in half the number of hours, and in only four weeks compared with 18 months the previous time. The process of collecting data in the field and then integrating it into the GIS manually was condensed into a single step thanks to digital data collection making it easy to pick-up and go. Blue dots indicate locations of trees inventoried with manual data collection, while Red dots show trees captured with the Trimble Urban Forestry solution. Inventory productivity increased by 1.5 times in one-sixteenth the personnel time. Participants believe the most significant advantage of the automated solution will come this year with a boost in harvest productivity. Running the Cengea data analysis and visualization application on the GIS, Garden to Table will query the tree inventory to show the most productive trees of a specific type on the digital parcel map layer. This will help them concentrate the volunteers in neighborhoods where the most fruit can be picked. Further, the Cengea application contains background information on fruit tree species including peak production times which could be correlated with specific tree locations by street address on the parcel layer. Each week of traditional harvest times, Lewis will generate custom maps of the project area along with address lists showing his teams exactly where to go and glean fruits ready to pick. “The application revolutionizes the way we are able to look at our tree data,” said Lewis. Among the attributes collected during field work were condition and health of the trees. As a favor to participating citizens with fruit trees on their properties, Garden to Table will also create customized pruning schedules by species. Volunteers may use this information to notify the owners when their trees should be tended. The charitable organization hopes that better maintenance will improve yields in the future. 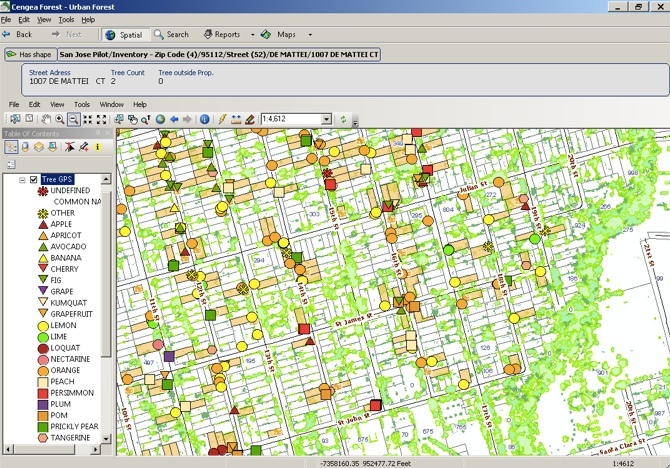 Cengea Urban Forest displays Garden to Table fruit tree locations on a parcel base map layer. The City of San Jose and Garden to Table share a common long-term goal of increasing the total number of trees in the San Jose area. While both organizations understand that more fruit trees will ultimately yield larger harvests, the university is eying a classic win-win situation for the community at large. The concept of Urban Forestry dovetails perfectly with a green initiative started by the San Jose mayor in 2009. One of its goals is to plant 100,000 new trees across the city. SJSU’s Nixon explained that a rich and lustrous tree canopy in the urban and suburban setting has a positive impact on the local economy, environment and society. Trees boost property values, reduce air pollution, improve storm water drainage, and even encourage people to exercise more outdoors. With fruit tree canopy inventory and monitoring in mind, the project team turned to Equinox Analytics Inc. of Bismarck, N.D., to add another component to the solution. 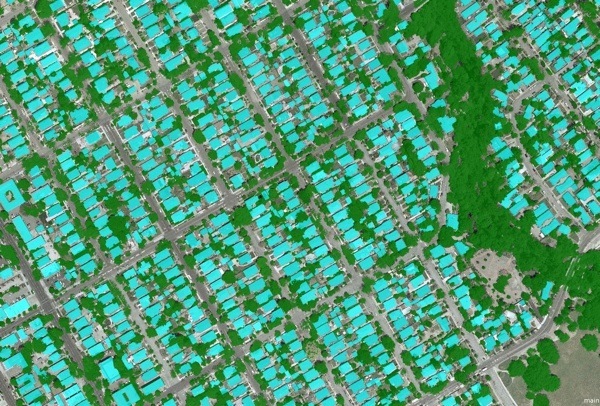 Working with the Trimble eCognition software, the firm created a script that calculates fruit tree canopy coverage by analyzing high-resolution aerial orthoimagery and airborne LiDAR elevation data that had been acquired over San Jose and provided by the City to Trimble for the project. 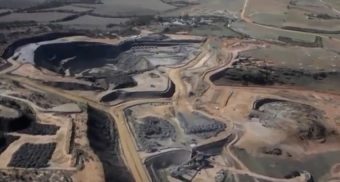 “The Trimble eCognition software is ideal for performing complex analysis of large, high-resolution spatial data sets,” said Aaron Smith, Equinox Analytics President. First, the eCognition script identified areas of vegetation in the digital orthoimagery using information from the visible green spectrum. But this spectral information included all green vegetation – tree canopies, grass, and bushes. To separate out the trees, the script then correlated the visible green spectral class with the elevation points in the LiDAR data, eliminating vegetation shorter than five feet in height. Trimble eCognition canopy and building footprint extraction in Five-Wounds Brookwood Terrace study area. Smith output the tree data as a georeferenced profile across the project area and provided this file to SJSU and Garden to Table. Nixon and Lewis hope to input the data into the GIS and cross-referenced known fruit tree locations with the canopy profile. From this information, they expect to more accurately measure the size of specific tree canopies, greatly enhancing their estimates of potential fruit production. “The profile also showed where the tree canopy was particularly dense in other parts of the city, giving them an idea of where to focus their efforts to find fruit trees that hadn’t been mapped,” said Smith. Lewis said that Garden to Table will use the fruit tree canopy map in the future as it moves into the next phase of its project — encouraging the planting of new fruit trees. Just as the canopy map shows where the trees are concentrated, it also reveals gaps where new ones would thrive. Nixon and Lewis plan to work with both city officials and private landowners to encourage planting trees where they can provide the most benefit. 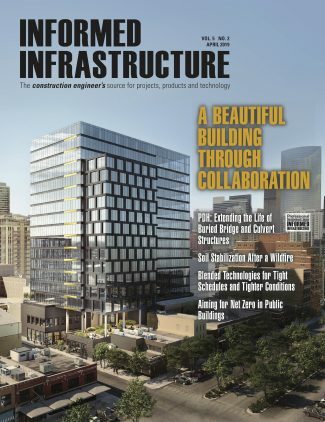 Trimble’s Gosalvez sees the tree canopy monitoring piece of the solution as having significant long-term benefits for overall Urban Forestry/Agriculture efforts in any city. The application provides a baseline of canopy coverage and then enables the end users to make rapid change detection measurements in the future to assess the success of policy initiatives designed to foster tree growth. “This integrated solution provides all the tools needed for communities to beautify their environments, battle food insecurity and support healthier living in the face of a changing climate,” said Gosalvez. 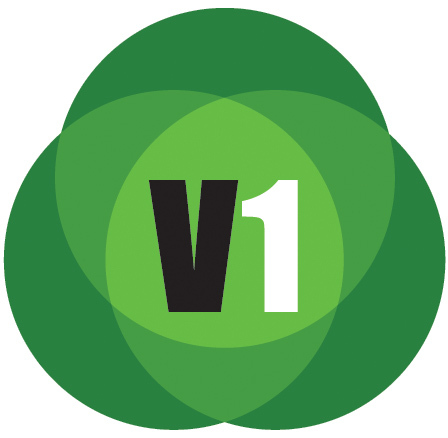 This feature is one of a three-part series that appear in the publications of the Location Media Alliance, detailing various aspects of the application of geospatial technologies to food and agriculture. Read a detailed accounting of the use of precision tools for supply chain management in a feature titled, “Adding Track and Trace to the Agricultural Supply Chain,” that appears in LBx Journal. Read an overview of all the precision technologies that farmers are deploying in a feature titled, “Precision Agriculture: Sensors Drive Agricultural Efficiency,” via Sensors & Systems.